A Sanya delegation led by the secretary general of Sanya city headed for Auckland, New Zealand in the afternoon of 13th March, 2012. The main purpose for the Sanya delegation is to observe the Pro-Am Race, Try Sailing (public) and In-Port Race of Team Sanya and learn from the experience of the Auckland Stopover. The Volvo Ocean Race covers 9 months, stretching across three oceans and five continents, which is greatly beyond the sports range. With the help of the platform, Sanya has launched and will launch tourism recommendation meetings in 10 post ports around the world through a 150-square-meter Exhibition Pavilion. 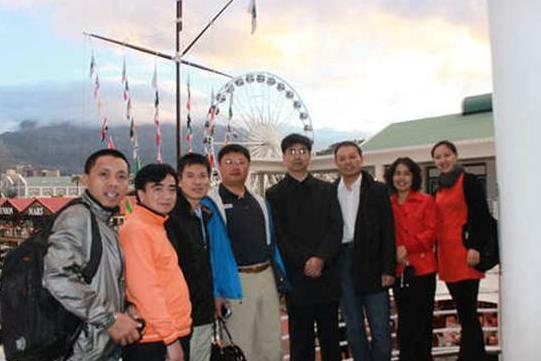 The Sanya delegation has held a tourism recommendation meeting at the Sanya Pavilion in the Auckland Race Village on 14th March.